Establish yourself as a globally-recognized human resource expert by earning the new standard in HR certification: SHRM Certified Professional (SHRM-CP℠) and SHRM Senior Certified Professional (SHRM-SCP℠). Ensure you’re prepared with our course designed for SHRM credential candidates. Expand and test your knowledge and practical, real-life competencies in areas critical for HR career success. "Thank you so much for the expert instruction and class organization! I am so glad that I took the class rather than just doing independent study - several times during the exam (which I thought was very difficult) I almost felt like I had Karen and Judy whispering in my ear!" "Thank you, thank you for all you have done for me and the HR profession." 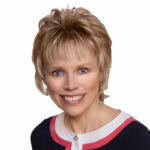 Judy was the vice president of human resources at Webcrafters, Inc. She has more than 30 years of human resource experience in health care and manufacturing. Her primary areas of responsibility have included strategic planning, employee and labor relations, talent acquisition and management, total rewards, development and safety. Judy graduated from the University of Wisconsin-Madison with a bachelor’s of business administration in management. She is very involved in the community and has served on numerous boards including United Way, Meriter Retirement Services, The Alliance, the Wisconsin Collaborative for Healthcare Quality and the National Cooperative Rx. She has also served on several human resource advisory committees including the Dane County Manufacturing Consortium, the Council on Wisconsin Strategies, W-2 steering committee, Oakwood, and United Cerebral Palsy. Tara has over 15 years of business and HR experience and she knows that engaged employees are the key to workplace success! Tara is currently the Chief Operating Officer of QTI Human Resources, where they focus on HR Consulting and have the pleasure of being the outsourced HR department for over 130 businesses. Tara enjoys being a strategic partner with QTI’s customers by helping them find solutions and resources that will positively impact their business and help them to achieve key goals and objectives for their organization. Prior to joining QTI, Tara was the Vice President of Human Resources at Palmer Johnson Power Systems. Here she envisioned and executed creative initiatives to make the organization stronger. Before entering the HR world, Tara was an assistant athletic director for a college in New York, spent time in sales for a fitness company and worked for the Minnesota Vikings. 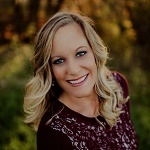 She holds a master’s degree in sports administration and a bachelor’s degree in human resource management and marketing from Minnesota State University-Mankato. She is certified in WELCOA’s Seven Benchmarks, Patient-Centered Healthcare Consumerism (CPCHC), SHRM-SCP and PHR. Tara was chosen as one of eight HR professionals to serve on the HR Executive Special Interest Group Steering Committee for the University of Wisconsin E-Business Consortium. Outside the office, Tara is involved with the Madison College HR Advisory Committee, Madison Area Down Syndrome Society, Boys & Girls Club, GMA SHRM, as well as supporting many non-profits. Tara regularly speaks on the topics of engagement, retention, healthcare and back-end support at HR conferences and functions. Tara enjoys mentoring younger HR professionals. In her spare time, Tara enjoys traveling, reading, spending time at their cabin in Eagle River, WI and having fun with her daughter, Cassidy and husband Josh. 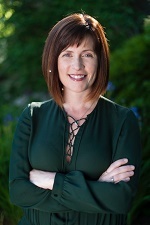 Andrea Cooper is the Director of Talent at CUNA Mutual Group in Madison, WI, leading a team responsible for talent acquisition and talent management. She previously held multiple senior leadership roles with Walmart Stores Inc., including: head of human resources and talent acquisition for Health and Wellness, director of organizational development for the global procurement division, and serving as senior director of global diversity and inclusion. Andrea operates strategically and influences organizational change, introducing employee-centric strategies that align with business success. As an experienced global leader, Andrea has worked in 15 countries, leading teams and providing guidance to executives around the world. She has designed and implemented programs and solutions aimed at improving business outcomes and increasing employee engagement, recognizing that one size does not fit all. She has achieved strong results with a proven ability to diagnose organizational opportunities, create strategic plans, deploy the right resources and drive for results. This is an exciting and pivotal time in the HR profession. Now, more than ever, HR teams are required to assume a greater leadership role, contributing to the strategic direction of their organizations. The profession is no longer just about what you know – but howyou do your job. SHRM Certified Professional (SHRM-CP℠) and SHRM Senior Certified Professional (SHRM-SCP℠) are poised to become the new standard for all HR professionals around the globe, as it is among the first HR certifications that is focused on teaching and testing the practical, real-life information HR professionals need to excel in their careers today, including behavioral competencies, knowledge and skills. 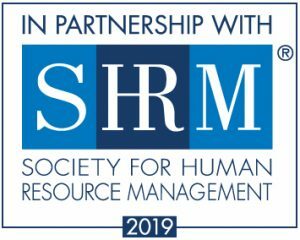 For more information about The SHRM Learning System® for SHRM-CP/SHRM-SCP® Course Preparation, contact Julie Wood by calling 608-263-9675 or via e-mail: julie.wood@wisc.edu. Lot 7 beneath Grainger Hall, owned and operated by UW Transportation Services, has been converted into an hourly, pay-as-you-go lot. Please take a ticket from the automated gate upon entering. Additional parking is available at the Lake Street/Frances Street Parking Ramp which is located between Lake and Frances Streets, near State Street, and is three blocks from Grainger Hall School of Business.